We will walk you through the step-by-step process on how to prepare a Stress Free Thanksgiving feast. 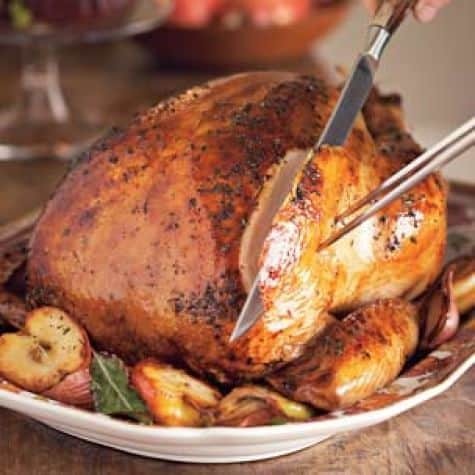 You will learn how to brine a turkey using our New Lemon Rosemary Turkey Brine, as well as prepare a selection of side dishes that include a traditional bread stuffing using our New Classic Stuffing Starter. You will enjoy a generous sampling of the dishes and receive a FREE Wine Pairing Guide for the Holidays! Note: Due to time constraints we will not be cooking a whole turkey during the class. Thursday, November 9th from 6-8:30pm. Receive 10% off your entire purchase on the products we used after the class.